Bass Drum of Death premieres the video for “For Blood” via Noisey. 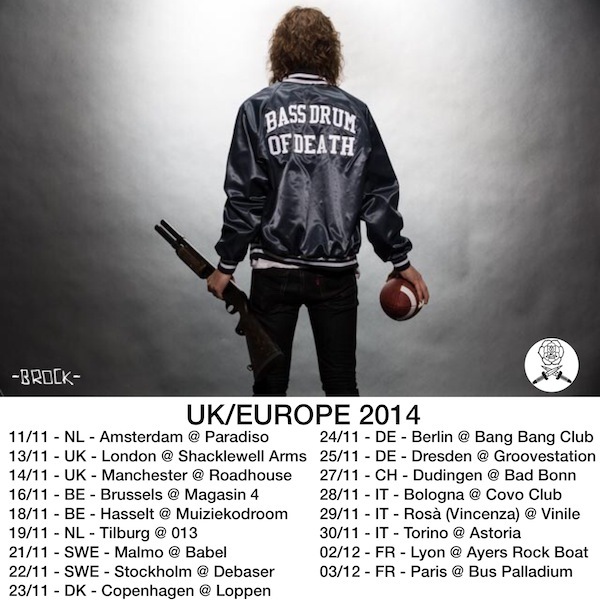 Bass Drum of Death is touring Europe in November. Bass Drum of Death premieres his new song, “Left For Dead,” via Billboard. Rip This out October 7.